A month long ‘City Palace Summer Training Camp’ was organized by Maharaja Sawai Man Singh II Museum Trust, in collaboration with Saraswati Kala Kendra and Rangrit Sansthan with the objective to orient and imbibe the young minds with the rich cultural traditions of our country. 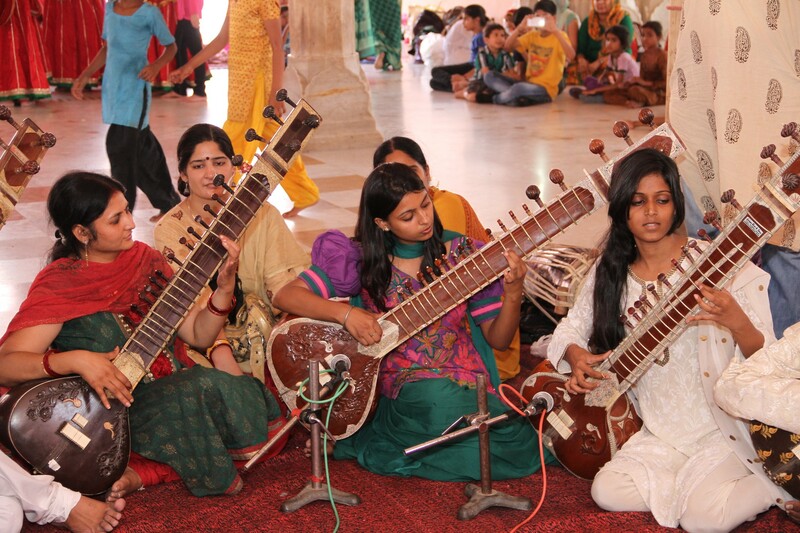 A Sitar Vadan performance by children, which they learnt during the Summer Camp. A whopping number of 250 children participated in the camp. During the camp, students learnt five different forms of arts- Photography by Mr. Yogendra Gupta (senior photographer), ‘Drupad’ classical singing by Dr. Madhu Bhatt Tailang, Tabla/ Dholak by Mr. Mahendra Shankar Dangi, Sitar by Pandit Harishran Bhatt, Kathak Dance by Dr. Jyoti Bharti Goswami and Painting by Mr. Govind Ramdev, Mr. Ramu Ramdev and Mr. Babulal Marotia. The camp was conducted free of cost for participants. The camp came to an end on a cheerful note today with brilliant performances given by participants of the summer camp. 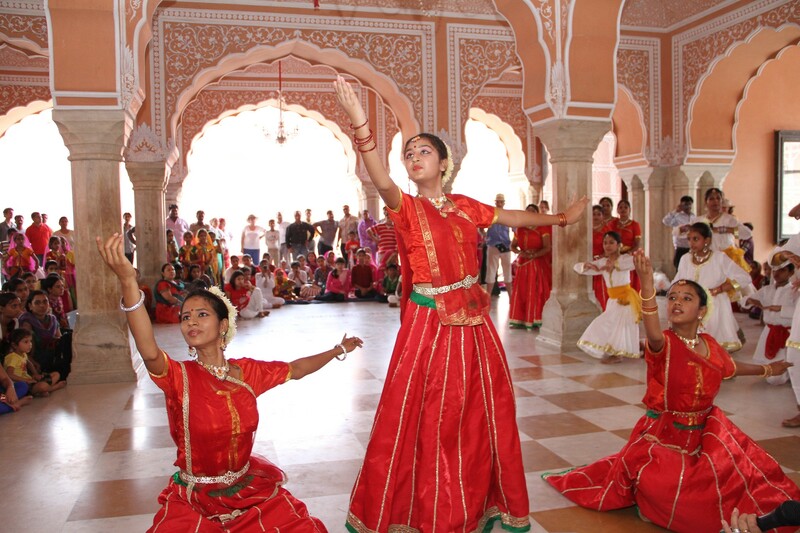 During the closing ceremony, a variety of cultural performances were presented by participating children at the ‘Sarvotobhadra Chowk’ in City Palace, Jaipur. 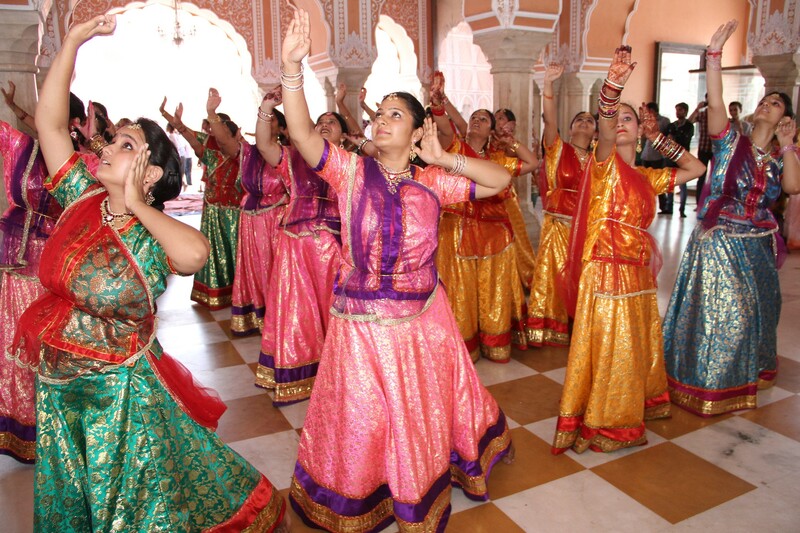 Children performing Kathak dance at the closing ceremony of the art and culture Summer Camp at City Palace. The closing ceremony commenced with the traditional lightening of the lamp by the Library Director of the City Palace, Dr. Chandra Mani Singh and Administrator Colonel, H.S. Jatrana. It was followed by ‘Saraswati Vandana’. During the function, many performances were given by students on the different aspects of what they had learnt during the camp. Students were also given an opportunity to showcase their painting and photography talents. The ceremony witnessed the presence of honorable Mr. Yunus Khimani, the Director of the City Palace Museum Trust appreciating the effort and enjoying absorbing performances of children. Previous Post Eat Right…..Monsoon Arrives ! hey i think i attended it, i was there on 20th June right?